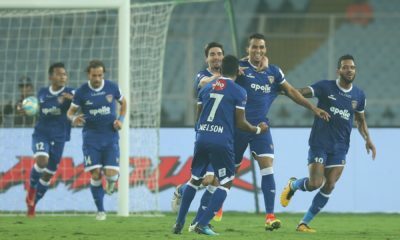 Bengaluru FC managed a crucial 1-0 win over Mumbai FC that sees them go joint top in the I-League table with a game in hand. 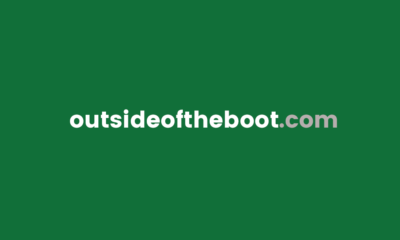 Outside of the Boot’s Sami Faizullah was on hand to get the best of Ashley Westwood’s post match comments. “We put four U-22 players on the pitch today. Even when we needed to win, last 23 minutes or so, we brought U-22 players on. I don’t know exactly but Zuala is 18, Daniel is 18-19, Udanat 19 as well, we’ve got confidence in our young lads and its a shame the rest of the league don’t. We keep talking about developing Indian football, but we just don’t see it happening. I think i’m the only foreign coach in the league, who respects the rule and has confidence in young lads. Maybe we need to look at ourselves. I’m not even Indian so why do I care about developing Indian football. “It’s good. You look all across the world there are always derbies like Man United & City if you will, but there’s others like when Man United play Liverpool which is fierce. So it doesn’t always have to be the name that makes a derby, there’s also a bit of history and we have a history with Mumbai; before the games and the shenanigans if you like in and around the touchline in previous games, we’ve never beaten them before which ads extra spice to it as well. “Physically it was okay. The lads gave everything they got, which they always do; no question marks on that. We had a decent game plan to play them down the wings, and it was working. We were a little bit wasteful in front of goal and in the final third, but we kept huffing and puffing; Daniel came on and scored, and we were relieved. 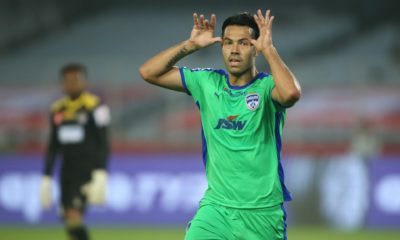 “To be honest I didn’t actually want to make a sub, Len was doing well, Vineeth and Kim were making chances, and even just before the sub we had a chance which Vineeth should have scored from. Len himself had a few ricochets and it looked like we were going to score. “Eugeneson was good. 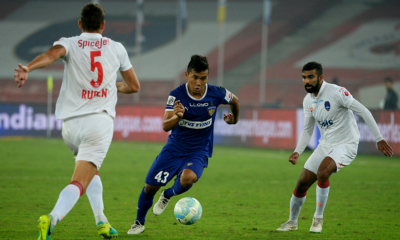 I was a little fearful, taking players off, because I thought he [Eugeneson] would have to come of after 65 minutes; we didn’t want him to play the entire 90, but he only got stronger. “He’s a good player. Ofcourse enjoyed his time with India, big lift for him making two appearances for the national team. He’s full of confidence, though he is a little tired. He’s trained hard with the national team, probably harder there than here and he’s a young boy travelling to Iran, and then back home to face Turkmenistan. He’s played some three games in ten days, and he needed a rest. “To be honest it’s so late in the season, all we are really concerned about is three points. We have a young squad, and young forwards actually. Apart from Kim, Vineeth has never really played as an out-an-out center-forward, Udanta & Daniel are young boys, and even Len is our U-22 player in the starting eleven. They’re young, they’ll make mistakes but they’re learning and that’s okay. You get that with young boys, once they lean they get composed and find it better to find the back of the net. Should Real Madrid stick to Keylor Navas?